(Missoulian) - Eastern Orthodox believers are patiently moving forward with plans to build a monastery in Montana. 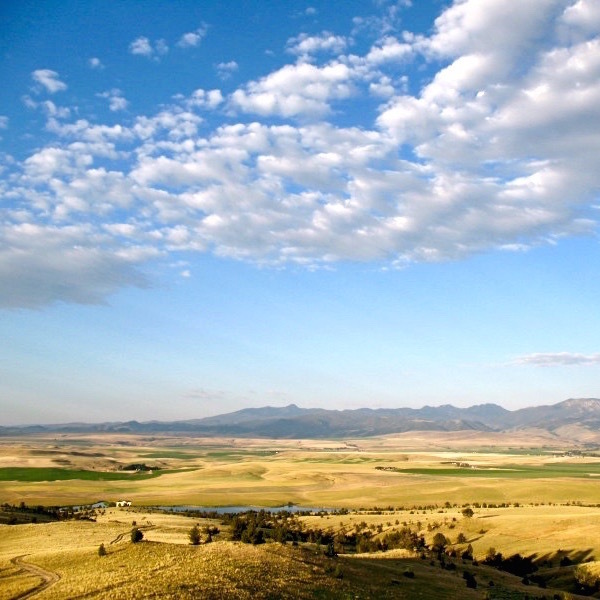 Though the timetable will depend on issues such as funding, members of St. Anthony the Great Orthodox Church in Bozeman already have donated land near the base of Montana’s Tobacco Root Mountains especially for the monastery. The property is near Harrison on Harrison Lake, also known as Willow Creek Reservoir. David Hicks and his wife, Betsy, gave the parcel from what they called their West of the Moon ranch for the purpose of building St. Peter’s Monastery, as it is called. The “West of the Moon” name of the ranch comes from an old jazz standard “East of the Sun (and West of the Moon),” written by Princeton undergraduate Brooks Bowman and published in 1934, Hicks explained. The monastery was formally established in 2014 and the St. Peter’s Monastery Foundation, which is guiding the effort to build it, is recognized by the state of Montana as a tax-exempt 501(c)3 foundation. Hicks, who is secretary of the foundation, noted that in the Eastern Orthodox tradition, the new monastery may start out as a “skete” – essentially a little monastery associated with a larger one. A website at stpetersmonastery.com discusses details. Father Hieromonk Innocent, the superior of St. John Monastery in Manton, California, has led three delegations of monks to Harrison in recent years to get work started on the actual building of the monastery. Innocent said Montana is in line with what monasteries have traditionally been in Orthodox tradition. “In the history of monasteries, the monks were actually trying to flee from the cities in order to be alone with God in the wilderness,” he said. The monks will be praying for the good of America, for Montana and for people everywhere, Innocent said. And he added that as of now, the Orthodox Church has not yet formally released any monks to come to Montana to live permanently. “I would venture to estimate that within four or five years, we may be able to do that, but it’s in God’s hands,” he said. He added that the plan is for the monks to support themselves by making fine furniture, since there is a master craftsman in the Bozeman congregation who can teach them. Also in the Bozeman congregation of St. Anthony the Great Orthodox Church is an architect, Mark Headley. He’s the architect for the new library in Bozeman and his latest project is the new Missoula College building in Missoula. He also designed the Don Anderson Hall on the University of Montana campus, as well as UM’s Interdisciplinary Science Building. Headley converted to Eastern Orthodoxy in 2008 and has done the design work for St. Peter’s Monastery after visiting the famous Mount Athos Monastery in Greece. It is on a sloped part of the site so the architectural design makes use of that site in placing the church sanctuary itself at the top of the site. “The symbolism there is that the Orthodox believe that the faith is not a one-time thing. They don’t believe in an instantaneous salvation and you’re saved forever, they believe it’s a lifelong struggle and lasts until your last breath. It’s truly an ascent to God, and that’s the very obvious reason that temples are placed like that,” Headley said. Father David Morrison of St. Anthony the Great Orthodox Church in Bozeman noted that it’s only about a 45-minute drive from Bozeman to the site of the monastery. That means it will be close enough for Orthodox believers from the Bozeman congregation or from elsewhere to visit for spiritual encouragement, as many do. It also will be open for people of other faiths to visit, if they choose. Such visitors will be welcome, he said. Will this be a Greek speaking liturgical monastery only like St. Anthony's. I'm guessing no. The parish mentioned is under the OCA, as is Archbishop Benjamin and Fr. Innocent. I would imagine this would be an OCA monastery. Looks like a beautiful area!